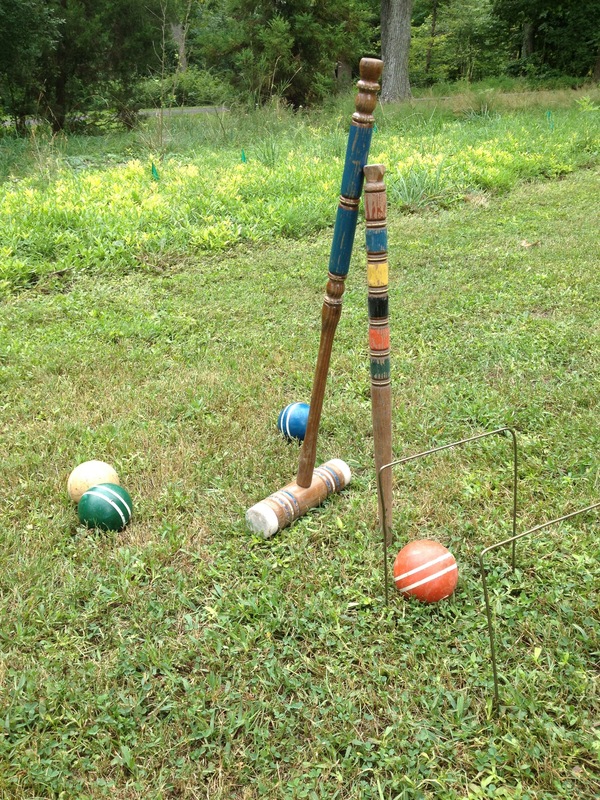 In the garage was an old forgotten croquet set. Covered in dust, its many colors were nearly indistinguishable. We cleaned up all the pieces to find a variety of colors. The storage rack was missing only one ball, probably chewed by the blades of a hungry lawnmower long ago. Aside from a few missing wickets(probably also lost to a lawnmower), it was almost complete although one of the remaining balls looked as though it may have been used as a dog toy. Thankfully there was a freshly mowed flat area that had seen many ball games of soccer, lacrosse, softball, and volleyball. 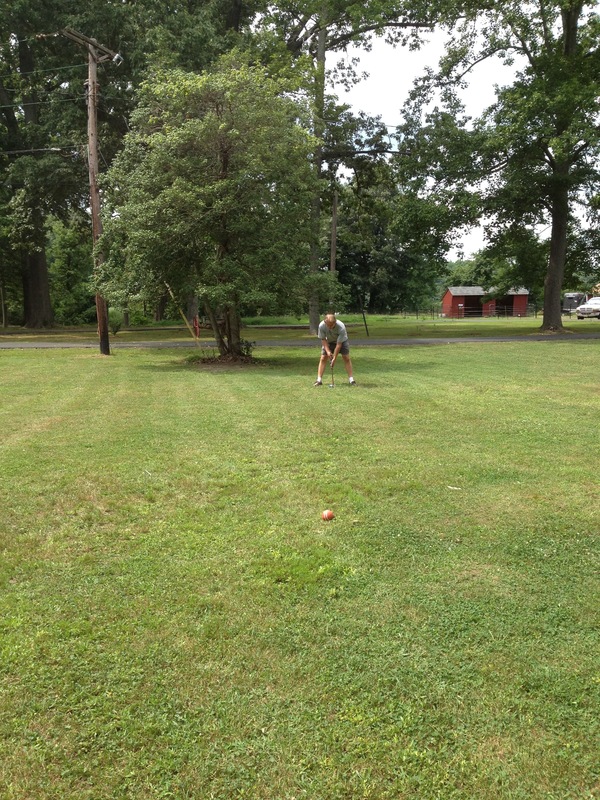 There were many picnics with egg tosses, three legged races, tug of war, horse shoes, badminton, and obstacle courses, but I cannot remember ever having the croquet game set up here. 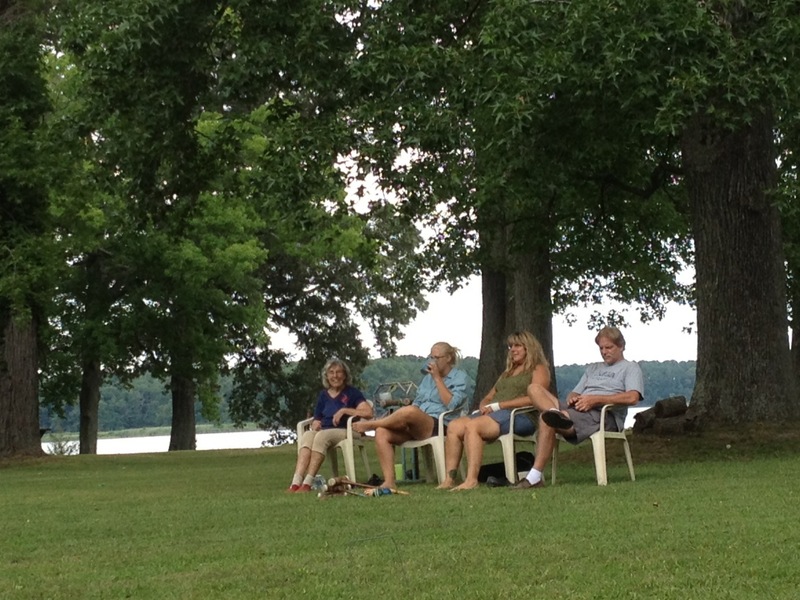 This was a great spot for the croquet game, smooth, flat, and the view was perfect. 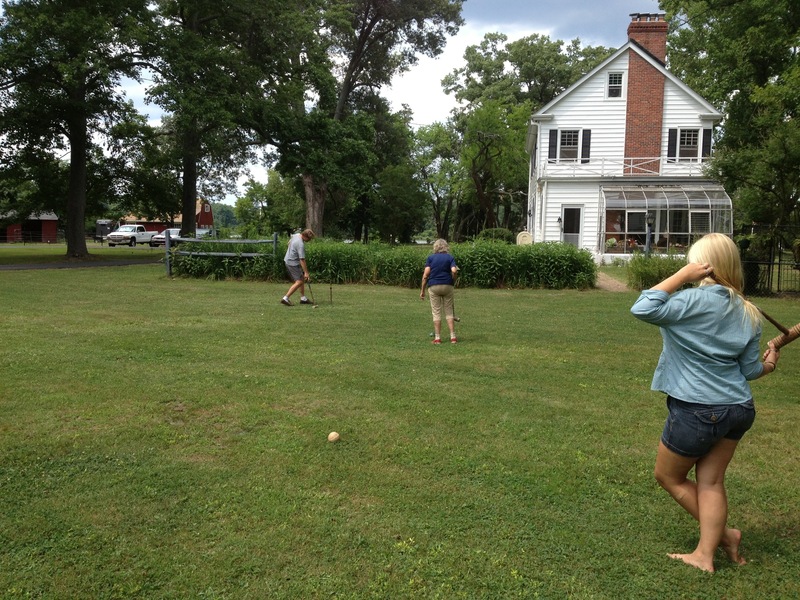 There were 4 of us, the day was not too hot, and we had access to a phone to Google up the rules to set up for an official traditional game of croquet. Of course, it was important to hydrate with a pitcher of iced tea at the end of the game as we sat and studied the course for our next round.